We distribute your music, worldwide, to all major digital music services such as iTunes, Spotify, Amazon, Google Play, Tidal, Deezer, Apple Music, Shazam, Napster, Beatport, eMusic, and many more! And we are constantly adding more services. Sign to a label. Unlike a standard, traditional music aggregator – SWSE adds the benefit of having full record label affiliation behind your release – including ad campaigns, marketing, promotion, consulting, public relations, and much more. Stay in control. With SWSE you will always keep 100% ownership of your music. Artist opportunities. Release your music with SWSE and get exclusive access to a world of artist opportunities. These can help you get the exposure and boost you need to take your career to the next level. Keep track of your music. SWSE provides in-depth analysis and insights about your music. Who’s listening and where? Get full reports and stats sent every month. 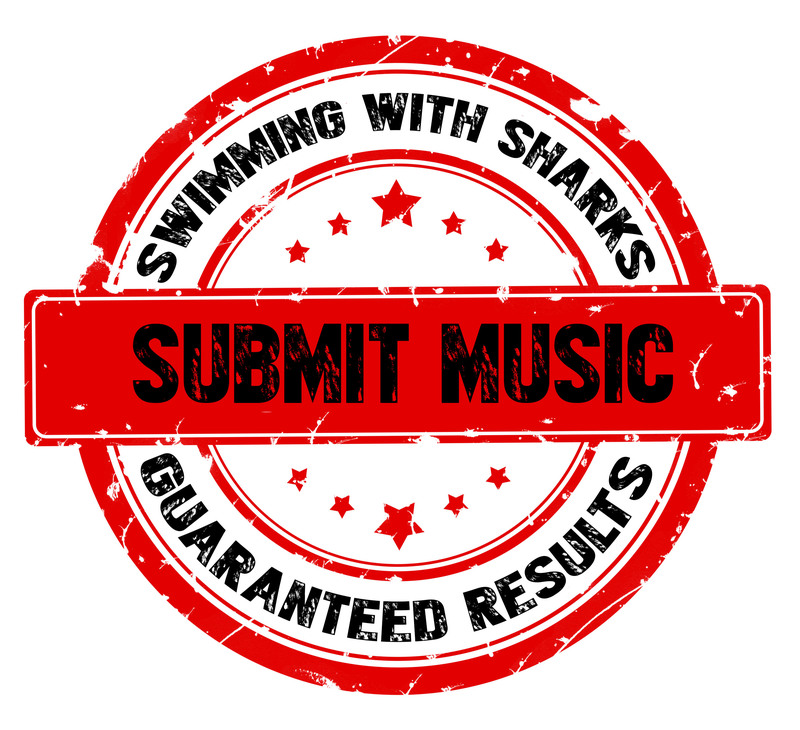 Swimming With Sharks Entertainment is the home of Swimming with Sharks Records and Zombie Shark Records and is a multi-platform media company offering Press, Promotion, Artist Development, Record Label Services, Consulting, Management, Public Relations, Marketing, Booking, Artist Resources, and more. Swimming With Sharks was founded in 2004 by Noah “Shark” Robertson, drummer for Motograter (Elektra/No Name) and The Browning (Earache/Century Media/Spinefarm). Noah is currently the drummer for Jeffrey Nothing (Ex-Mushroomhead). Combining resources, knowledge, industry experience, and an unhealthy obsession with sharks – Swimming With Sharks Entertainment was born. Swimming With Sharks is committed to helping talented, hard-working artists take the next step in their careers by getting their project to the masses. We are dedicated to helping artists gain access to the knowledge, resources, and tools necessary to succeed. Swimming With Sharks employs unique, innovative & creative marketing tactics in order to make waves. Noah “Shark” Robertson is a music industry professional and touring musician with over 20 years experience. Noah has toured the world playing the drums, performing international tours and festivals with many of the biggest names in Rock and Metal music. While studying Music Education in College, Noah produced and hosted a live, 2-hour radio show on KTRL-The Planet, called Swimming With Sharks. In 2004, Noah began marketing, booking, and promoting bands under the moniker, Swimming With Sharks Entertainment. In 2010, Noah founded Swimming With Sharks Records and began signing bands from all over the world. In 2016, Noah founded Zombie Shark Records and was appointed as Marketing Director of EMP Label Group, headed up by Dave Ellefson (Megadeth) and Thom Hazaert. When it comes to the music business, Noah has done it all. From helping to build brand new School of Rock locations from the ground-up, to selling musical instruments for Guitar Center in high-end markets like Dallas, Texas and Hollywood, California, to writing for various heavy metal publications and music media sites, to teaching music lessons to students of all ages, and everything in-between. Noah is most notable for being one of the founding members of The Browning (Earache/Century Media/Spinefarm). He is the current drummer of Motograter (EMP Label Group/Elektra/No Name), formerly fronted by Ivan Moody of Five Finger Death Punch. Noah is the current drummer of Jeffrey Nothing (ex-Mushroomhead). Notable past acts include Pinhed and Srlsm. Noah has performed on National and International Tours with Fear Factory, Shadows Fall, Static-X, Ill Nino, American Head Charge, Dope, Flaw, Allegaeon, Winds of Plague, We Came As Romans, Bless The Fall, Stick To Your Guns, Obey The Brave, At The Skylines, For The Fallen Dreams, Straight Line Stitch, UnLoco, Davey Suicide, Like Moths To Flames, Wretched, Legend, Volumes, Thick As Blood, The Devastated, Design The Skyline, and many more. Noah has performed Major Shows and Festivals with Machine Head, Heaven Shall Burn, Lamb Of God, Children Of Bodom, Suicide Silence, Carcass, Emmure,Trivium, August Burns Red, Aborted, DevilDriver, Carnifex, Danzig, Five Finger Death Punch, Volbeat, Killswitch Engage, Anthrax, Of Mice and Men, Black Label Society, Testament, Hellyeah, Hatebreed, In This Moment, In Flames, Anthrax, Motorhead, Exodus, Suicidal Tendencies, Six Feet Under, Morbid Angel, Vital Remains, Ill Nino, As Blood Runs Black, We Butter The Bread With Butter, I Wrestled A Bear Once, Sum 41, Parkway Drive, Alesana, The All-American Rejects, Andrew W.K., Attack Attack, Breathe Carolina, Breathe Electric, Bring Me the Horizon, The Cab, Call the Cops, The Casualties, Confide, The Dillinger Escape Plan, Emarosa, Enter Shikari, Every Time I Die, Eyes Set to Kill, Haste the Day, Moonspell, Haggard, and many more. Noah has also shared the stage with Periphery, Darkest Hour, Veil of Maya, Revocation, The Faceless, Dying Fetus, Goatwhore, Taproot, SoiL, and many others. Please contact SWSE for pricing and to discuss marketing budgets, etc. If you are interested in SWSE’s Record Label Services and Global Distribution System fill out the form below. If selected you will need to be able to provide the following: Songs in WAV format, Tracklist, Album Info, Album Credits, Artwork (1400×1400), Genre, Location, and a Short Bio.